Last weekend, we moved house, just a bit further North within Canberra. 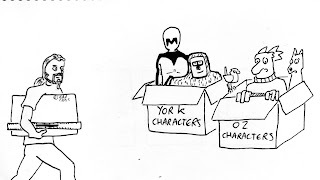 Whilst packing things into boxes, I envisaged this image of packing my characters to take with me. 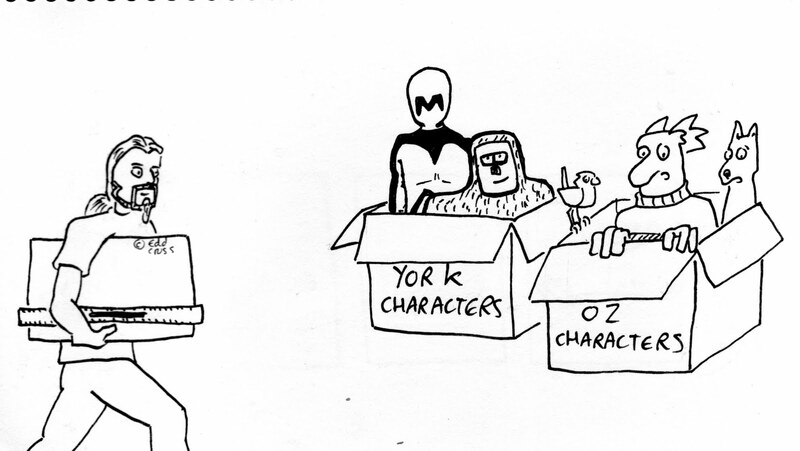 So from York, we have Grilla and Minster Man, and from Australia my new characters. And now we finally have internet connection again I can continue with my blogging – hoorah!